Roland Eco Solvent Printing Machines have been upgraded for large format inkjet printer/cutters – we re-imagined everything. 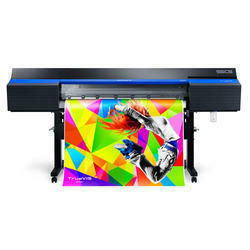 New print heads that deliver beautiful prints more efficiently, inks that is more vibrant and cost-effective. Upgraded cutting technology that increases accuracy. Introduction of new tech to communicate with your existing phones and tablets. The future of print/cut has arrived. It Is also Known as Roland Eco Solvent Printer, Eco solvent Machine, Vinyl Printing Machine, Roland Machine, Eco Solvent Machine, Print and Cut Machine, Canvas Printing Machine, Indoor Printing Machine, Wallpaper Printing Machine, Wraps Printing Machine, Label Print and cut Machine. 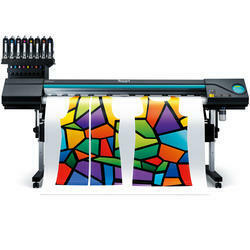 Roland Printers posses capability to give an equal competition to Mimaki, Mutoh, Toshiba, Epson HP. With the new TrueVIS SG Series, Whether you’re just starting out or wanting to expand production, new TrueVIS SG series printer/cutters offer all the quality and versatility of a Roland, at an unbeatable price. TrueVIS ushers in a new era of integrated printing and contour cutting, and the SG delivers the value you need to quickly and easily build your business. It Is also Known as Eco Solvent Printer, Vinyl Printing Machine, Roland Machine, Eco Solvent Machine, Print and Cut Machine, Canvas Printing Machine, Indoor Printing Machine, Wallpaper Printing Machine, Wraps Printing Machine, Label Print and cut Machine. Impressive print speed and quality, advanced productivity features and unmatched reliability and support make the VersaEXPRESS RF-640 large-format inkjet printer the smart choice for your business. Efficient, reliable and affordable, the VersaEXPRESS RF-640 delivers outstanding prints day in and day out. It Is also Known as Eco Solvent Printer, Vinyl Printing Machine, Roland Machine, Eco Solvent Machine, Print and Cut Machine, Canvas Printing Machine, Indoor Printing Machine, Wallpaper Printing Machine, Wraps Printing Machine, Label Print and cut Machine. Applications: Banners, Signs, Wrap Graphics, Fine Art, Posters, Wallpaper. 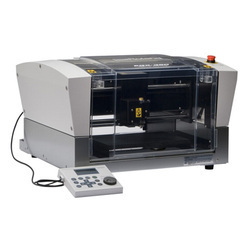 Machine, Label Print and cut Machine. With the new TrueVIS VG Series, we didn’t just make a few upgrades to our large-format inkjet printer/cutters – we re-imagined everything. New print heads that deliver beautiful prints more efficiently. New inks that is more vibrant and cost-effective. New cutting technology that increases accuracy. New tech to communicate with your existing phones and tablets. And so much more. The future of print/cut has arrived. It Is also Known as Eco Solvent Printer, Vinyl Printing Machine, Roland Machine, Eco Solvent Machine, Print and Cut Machine, Canvas Printing Machine, Indoor Printing Machine, Wallpaper Printing Machine, Wraps Printing Machine, Label Print and cut Machine. 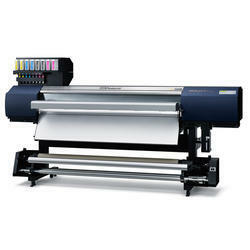 A busy, high-volume print shop needs a printer that can deliver quality output at high speeds. 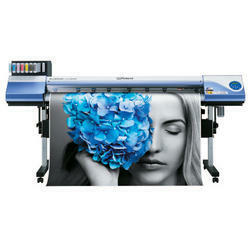 Meet the new EJ-640 large-format color printer. With dual staggered print heads and a rigid new industrial design, productivity and quality are built in. So are big-time savings. The EJ-640 runs with new Roland DG EJ INK that costs up to 35% less than the competition. The result High-volume, low-maintenance printing and bold, exciting colors with higher profit margins. It Is also Known as Eco Solvent Printer, Vinyl Printing Machine, Roland Machine, Eco Solvent Machine, Print and Cut Machine, Canvas Printing Machine, Indoor Printing Machine, Wallpaper Printing Machine, Wraps Printing Machine, Label Print and cut Machine. 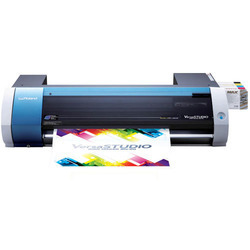 The Roland Texart XT‐640 is the best middle‐range of dye sublimation transfer printer that includes durable hardware, bulk ink system, eight‐color original dye sublimation ink and professional textile RIP software. It is ideal for “middle‐mix middle‐volume production in excellent print quality with rich, smooth gradations, remarkable find detail, and excellent color reproduction,” while optimizing performance for textile market. 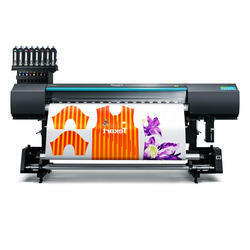 It is also known as Sublimation printing machine, Dye Sublimation Printer, Heat Transfer Printing Machine, direct Sublimation printing machine, Direct fabric printing machine, Sublimation Garment printing machine, Sublimation Sports Wear Printing Machine, Home Furnishing Machine, Polyester Printing Machine. 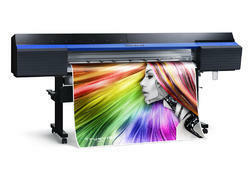 The Roland Texart RT-640 is the best entry-level dye sublimation printer as a complete textile solution that includes hardware, ink system, 8-color original dye sublimation ink and professional RIP software. It delivers rich, saturated colors and excellent color reproductions while optimizing performance all at an affordable price for the textile markets. By providing a better, more reliable and more integrated dye sublimation printing solution we aim to capture a significant proportion of not only the existing markets, sports apparel but also new growing textile market such as apparel, interior décor and original/promotional goods. .It is also known as Sublimation printing machine, Dye Sublimation Printer, Heat Transfer Printing Machine, direct Sublimation printing machine, Direct fabric printing machine, Sublimation Garment printing machine, Sublimation Sports Wear Printing Machine, Home Furnishing Machine, Polyester Printing Machine. The BN-20 packs everything into one, powerful, profit-producing package. With award-winning eco-solvent inks including metallic and white options, a range of material compatibility and integrated contour cutting, the BN-20 is easily the most versatile print device in its class. The BN-20 is perfect for creating t-shirt graphics, poster prints, stickers and decals – all from the comfort of your desktop. It Is also Known as Eco Solvent Printer, Vinyl Printing Machine, Roland Machine, Eco Solvent Machine, Print and Cut Machine, Canvas Printing Machine, Indoor Printing Machine, Wallpaper Printing Machine, Wraps Printing Machine, Label Print and cut Machine. Type & Capacity: Roland ECO-SOL MAX or FPG Aqueous, 220 ml. 4 Color - CMYK+Wh (Cyan, Magenta, Yellow, Black, and White. The EGX-350 is a true price to performance breakthrough in desktop engraving, opening new doors to profits for gift engravers, trophy shops, jewellery retailers and more by combining versatility with quick and easy automated production. With the EGX-350, you can create custom signs, personalized gifts, awards and promotional items at a fraction of the cost of outsourcing.